We help you design, engineer, integrate and manage collaborative Audio Visual Integration (A/V Integration) projects while minimizing the bottom line. This process transforms what would otherwise be a difficult, costly and unpredictable experience into a low-stress, less expensive and predictable process. Contact us for all your audio visual needs. What is "AV Integration"? Find out more here! Management and security network solutions provide the tools to monitor and implement enterprise video collaboration and enable seamless communication. User interface design requires a strong understanding of room needs, functionality requirements, task analysis, usability testing, and the actual look of the meeting room. Your meeting rooms are where decisions are made, deals are signed, and breakthroughs emerge. 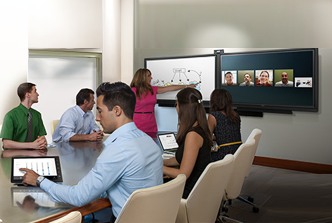 As the hub for communication your conference room should be done your way. Integrated Audio is a vital part of modern conferencing – ensure that your meeting participants are able to hear and collaborate with everyone on the call. 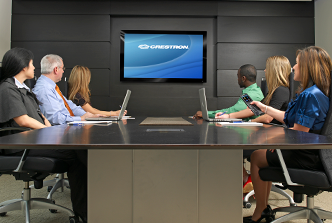 Your meeting rooms are an extension of you and your business and they should be done your way. Take the first step and contact us today to start designing! Let us help you with your budget. Whether it’s now or later - we know you’ll need budgetary numbers to get started. Take a look at a few of our audio visual integration (av integration) projects to see how we can help you design the perfect room to meet your specific needs.